It’s been almost three years since the idea of the UK leaving the European Union became a reality but, despite intense political activity over the past few months, we still don’t know if we’ll be leaving with a deal or no deal. Brexit has now also been delayed beyond its original 29 March 2019 date. Either way, Brexit will have profound effects on our economy and the confidence of consumers. Nobody knows exactly how it will affect the housing market and your finances if you’re planning a move, buy-to-let investment or renovation project but you can prepare for the most likely outcomes. Back in September, the governor of the Bank of England, Mark Carney, warned that leaving the EU with no deal could be catastrophic, sending unemployment soaring and house prices plummeting, but most property experts think that the effects on the housing market will be less dramatic than this, even in a no-deal scenario. Uncertainty and hesitation have had the biggest impact on the health of the housing market up to now but, depending on your circumstances, this could be a bonus. 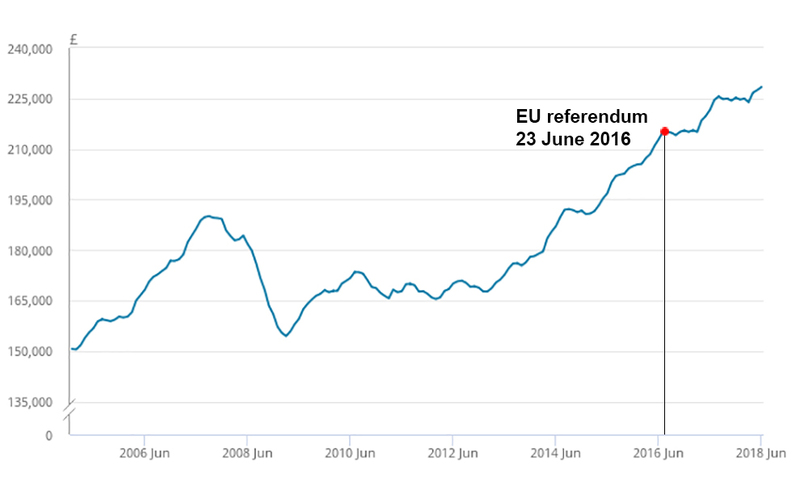 The EU referendum in 2016 didn’t have a big effect on average UK house prices at the time and they continued to rise, albeit more slowly. Land Registry data for July 2016 showed that average UK house prices went up by 8.3% to £216,750 – less than the 9.7% seen in June 2016 but still a healthy amount. All regions of the UK continued to experience growth. Nationwide’s index showed that prices actually increased faster in August 2016 than in July (its methodology means there was a slight lag in any referendum effects showing up in the data). Despite the market slowing because of the extra 3% added to stamp duty for buyers of second homes and buy-to-let properties in April 2016, and uncertainty around the referendum, fewer properties on the market as well as fewer buyers meant that growth stayed steady. The Halifax index showed price rises slowing down around that time but put this down to prices rising faster than earnings, reducing the demand for property. The picture now is that house price growth has been slowing down over the past two years, especially in the south and east of England, but prices are still rising across most of the UK. The latest Halifax data showed that the annual change in January (based on prices over three months) decreased to 0.8% from 1.3% in December but was still higher than in November when prices increased by 0.3%. The exception is London – the latest Office for National Statistics (ONS) index showed that in December 2018 house prices fell by 0.6% there over the year and Nationwide said they fell by 0.8% (fourth quarter figure). Jonathan Hudson, founder of estate agent and property consultancy Hudsons in central London, said: "We found that house prices stagnated in the early part of 2018 and transaction levels went through the floor but sellers’ attitudes are thawing now and they are less dismissive of offers." The general slowdown isn’t just due to Brexit – an oversupply of newbuild homes in London and lower demand for buy-to-let properties have also been factors. As well as the stamp duty increase, the amount of mortgage interest landlords can deduct from their profits to pay less income tax has been decreasing since April 2017 and will disappear completely by 2020, to be replaced by basic-rate tax relief only. 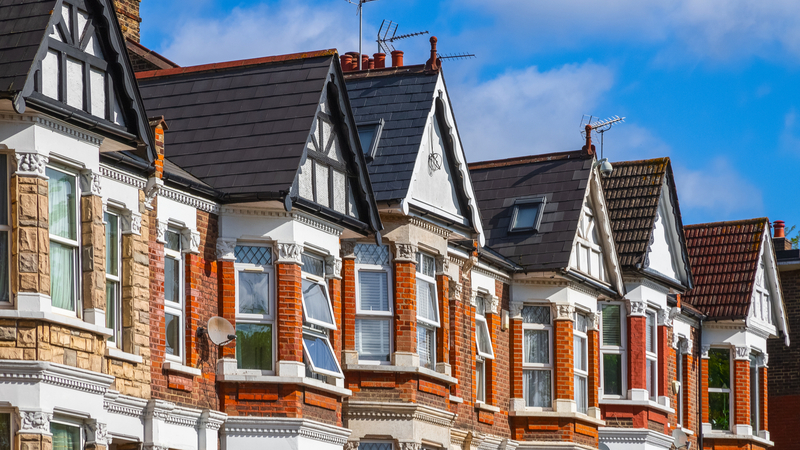 There have also been other changes affecting buy-to-let, including tighter lending criteria for ‘portfolio’ landlords (those with four or more mortgaged properties) introduced in September 2017. But on the flipside, this has helped first-time buyers as they have not had to compete with buy-to-let investors for properties as much and the first-time buyer market has been relatively healthy. Some estate agents saw blips following certain events. Ian Harris, branch manager of Watsons estate agency in Norwich and the National Association of Estate Agents (NAEA) Propertymark’s regional executive for East Anglia said Mark Carney’s doom-and-gloom comments about house prices in September and the dramatic way they were reported had a big impact on transactions: "Activity dropped for 24 hours, but then returned to normal." But others have seen no Brexit effects at all. Charlie Kannreuther, who runs the Savills estate agency offices in Knutsford and Cheshire, said: "Brexit hasn’t really been discussed here until recently. We were expecting uncertainty but our business has grown significantly in the last three years. People seem to have an underlying confidence." House prices after Brexit: what will happen? So what’s likely to happen to house prices and the property market over the coming months? The picture has been mixed, to say the least, but one thing is sure, London looks set to feel the impact more than the rest of the UK. A Reuters poll of 30 property experts predicted that house costs in the capital will fall by 0.1% this year. When asked how a chaotic EU departure would affect prices, expert answers from the poll ranged from 'short-term fall' to 'damaging' and 'disaster', with one expert venturing that a no-deal Brexit could lead to a crash for the capital's property market by as much as 40%. Outside of London, the Royal Institution of Chartered Surveyors (RICS) market survey agrees that house prices will stay generally flat in the rest of the UK, with falls in the South East, East Anglia and South West and increases in some parts of the UK, including Northern Ireland and Scotland. House prices rising more slowly is good news is you’re a first-time buyer, and if you’re buying and selling in the same market you won’t be negatively affected either. The numbers of buyers and sellers are not expected to pick up dramatically over the next year but, if a deal is agreed with the EU, potential buyers and sellers who have been waiting to see what happens will be more confident about going ahead. The chief executive of NAEA Propertymark, Mark Hayward, said: "Whatever the deal is there will be a sigh of relief and people will get on with it but if there’s no deal the market is likely to continue to be subdued." This means that if you’re buying or selling, it may take you longer to complete your transaction and agree to a price you’re happy with than before the referendum but you have time to be selective and think about your decisions carefully. A report from Post Office Money developed with the Centre for Economics and Business Research (Cebr) published in November said that it was taking an average of 102 days for a UK property to sell (when an offer has been accepted) – an extra week compared to the year before. As the property market has slowed and there have been fewer mortgages taken out, lenders are competing even harder for customers for both purchases and remortgaging. This means that plenty of good mortgage deals are available and lenders are keen to lend so are being flexible. David Hollingworth from mortgage broker London & Country Mortgages said Brexit hasn’t had a negative impact on the mortgage market for borrowers: "The Bank of England base rate fell to 0.25% after the referendum but is now only up to 0.75% so interest rates are still historically low." At its 1980s peak in October 1989, the base rate was 14.88%. The Bank has said that any increases over the coming months will be limited and gradual. You can get two-year fixed-rate residential mortgages at around 1.5% and there are lots of five-year deals under 2%. The market has also become more competitive if you want to borrow a higher proportion of the property’s value and more lenders are supporting the Help to Buy scheme, which will now only offer equity loans to first-time buyers but was extended to 2023 after the autumn budget. The value of the pound fell dramatically after the EU referendum and as a result the cost of goods from the EU and elsewhere, including building materials, increased, adding to the cost of renovation work. The pound’s value is still nowhere near pre-referendum levels. Inflation was extremely low at the beginning of 2016 but increased steadily over the course of 2016 and 2017, and the Consumer Prices Index (CPI) reached a high of 3.1% in November 2017. The index tracks the prices of a range of consumer goods and services and includes the cost of maintaining and repairing a home and installing and repairing home appliances. CPI has since fallen – it was 1.8% in January 2019 – and is now below the Bank of England’s target of 2%. Whether it stays around this target depends on whether there is a Brexit deal and a smooth transition. Although the slowing of inflation is good news if you’re planning home improvements, the building industry still expects the cost of materials and labour to rise. In the latest quarterly State of Trade survey from the Federation of Master Builders (FMB), which represents small and medium-sized building firms (those typically taking part in the survey have 10 or fewer employees), published in January, 87% thought the cost of materials would rise over the next six months. READ MORE: Will home renovators count the cost of Brexit? FMB chief executive Brian Berry said: "This is a problem for homeowners. Half of the construction firms have been forced to pass material price increases onto their clients, meaning building projects are becoming more and more expensive. The problem worsened last year with more than twice as many firms passing material prices on to their clients in early 2018 compared with mid-2017." Government figures from 2018 show that 7% of workers in the construction industry are from the EU and this rises to 28% in London, but the number of EU workers in the UK has fallen dramatically since 2017. This is likely to push up the cost of hiring builders, especially in the capital. In the FMB survey, two thirds of builders said they expected the cost of paying workers to rise over the next six months. Firms are already struggling to recruit certain trades and it’s getting harder in many cases – 61% said they were having problems finding bricklayers and 64% reported a shortage of carpenters and joiners. Homeowners are not being put off from doing renovations though. A recent survey by the Homebuilding & Renovating Shows found that 86% were carrying on with their projects, including adding extensions and new kitchens, despite Brexit uncertainty. If you need to keep costs down, consider using cheaper materials or products than your first choices. Talk to your builder and tradespeople throughout your project to make sure costs won’t change significantly to what was originally estimated. "Now more than ever, it’s important that builders and their clients keep the lines of communication open in order to stay within time and budget," says Brian Berry. 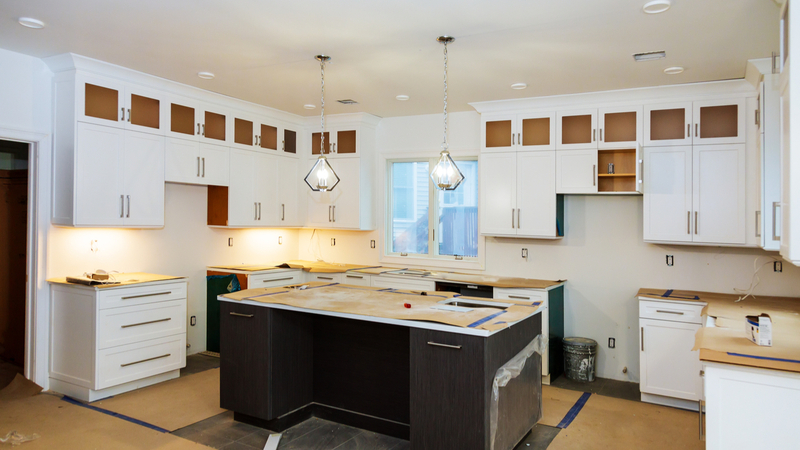 Consider borrowing any money you might need for your renovations sooner rather than later while interest rates are low. Don’t delay your project if you don’t need to – it’s likely that the cost of labour and materials will continue to go up. Think about taking on a project manager who can get you the best deals, make sure the project runs efficiently and fight your corner with the builder if necessary. Their cost could be paid for by the savings you make as a result of their input, not to mention limiting the stress involved. Nobody really knows what is going to happen as a result of Brexit over the coming months and years but follow our advice to make sure you’re prepared for any eventuality. Always buy with a long-term view and future-proof your purchase so that you are unaffected by short-term blips in the wider economy. For example, if you plan to have children in the future aim to buy a home that will be big enough to accommodate them now, without overstretching yourself. Take your time when choosing a home to make an informed decision about the area as well as the property. Is the area safe and how good are the schools if children are a factor? There is less competition for each property since fewer buyers are looking so you can afford to move more slowly now. Consider fixing your mortgage for five years or more if you won’t need to move during that time so you have certainty about what you’ll be paying whatever happens to the mortgage market. You can usually take your mortgage with you if you do plan to move but there is no guarantee how much any further borrowing you need may cost you. Speak to a mortgage adviser to get the best deal for you. Work out your living costs when you move meticulously to make sure you can afford them now and in the future should your income decrease. Consider borrowing more now if you’ll need to – for renovations for example – as mortgage rates are low and there’s no guarantee they will stay that way. Search for a cheap mortgage: you could save thousands! Ultimately, if you've outgrown your place and need to move there's no real reason to wait. While there are always risks with any property deal, you can't put your life on hold. Here's how to proceed cautiously. Do thorough research into how much properties have sold for in your area recently so you know how much you can expect to get. You can do this by speaking to estate agents and looking at price-paid data on the Land Registry website, although prices are only recorded once the sale has been completed. Property portals like Rightmove will give you a feel for current asking prices but not the level of offers accepted. Shop around for an estate agent you are confident can get you the best amount without over-inflating the asking price, which could mean your home takes longer to sell. If you don't have to move and are worried about your job post-Brexit you could consider waiting until we know more. Unemployment is currently at its lowest since the mid-70s but it’s not clear how Brexit will affect companies and therefore jobs. If you're trying to move up the property ladder, you may end up with more equity to do this by holding onto the property for longer since prices are likely to stay relatively flat for a while. Plus, history shows that it’s usually worth hanging onto property long term – average UK house prices are now significantly higher than before the 2008 crash. Take steps to actively sell your home as it won’t sell itself in the current market – present it as well as you can and convince potential buyers that you are a reliable seller. Ian Harris says: "Be open and transparent to give buyers confidence. Be clear about what you’re offering and your pricing." 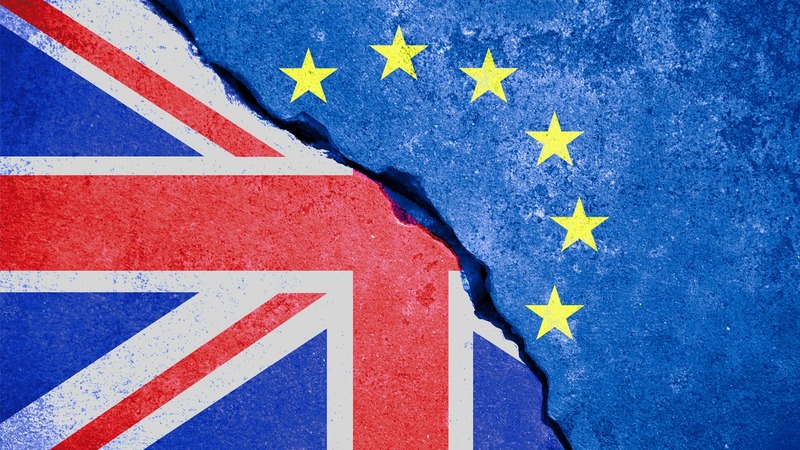 Brexit or no, times are tough for landlords and they are about to get worse when the new financial year begins on April 5th 2019. Be aware of new charges and changes to mortgage interest tax relief for commercial buy-to-let landlords then read on to see how Brexit could impact your interests. Always invest for the long term to limit how much you are affected by fluctuations in rental yields (the annual rent as a percentage of the value of the property, which indicates how much money you can make on it). Yields have fallen in areas where there are high property prices, such as London, but how much a property is worth is likely to go up in the long term. There may also be opportunities to buy investment properties for less than before. Make sure you could still afford to own and maintain your buy-to-let property during leaner times – if you have extended vacant periods or expensive repairs that need doing for example. Be a good landlord. Jonathan Hudson says: "The government is clamping down on poor landlords. Make sure you have a good team behind you so you can fix any problems with the property quickly." Investigate the market carefully by speaking to estate agents and doing research online before you invest in a buy-to-let property in a particular area. How much rent can you expect to get and what is the demand for rental property there? Is it seasonal because it’s a student area, for example? Manage your ongoing costs carefully, including making sure you can keep on top of mortgage payments. "This is more important than ever because of tax-relief changes," says David Hollingworth. 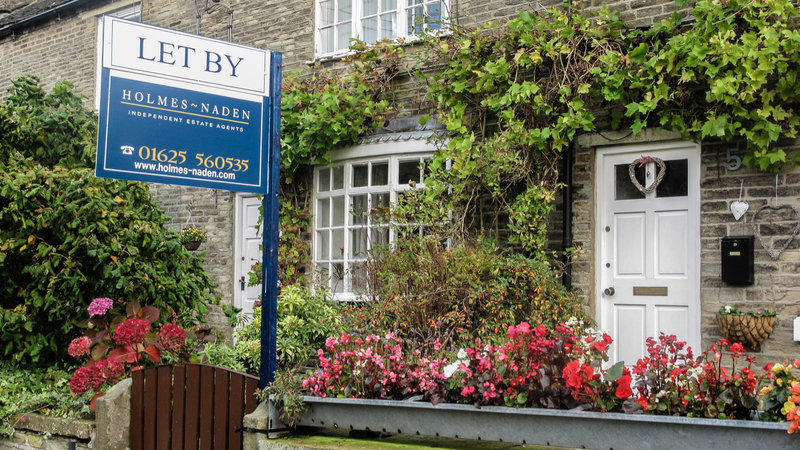 The fall in buy-to-let investors could mean there is a shortage of rental properties in certain areas so look into whether the market rent you could charge has gone up recently. Should you wait until the effects of Brexit are clearer? The fact is that there could be any number of outcomes resulting from Brexit – both positive and negative – so putting your life on hold may not be the right thing to do. If you need to act now and are in a good position, it’s not worth delaying – as long as you’ve protected yourself from potential challenges in the future. As Charlie Kannreuther advises: "Make decisions based on your own circumstances rather than what may or may not happen with Brexit."